Fendi "Karlito" handbag charm composed of dyed goat (Italy) fur, dyed fox (Finland) fur, and dyed mink (Finland & Denmark) fur. 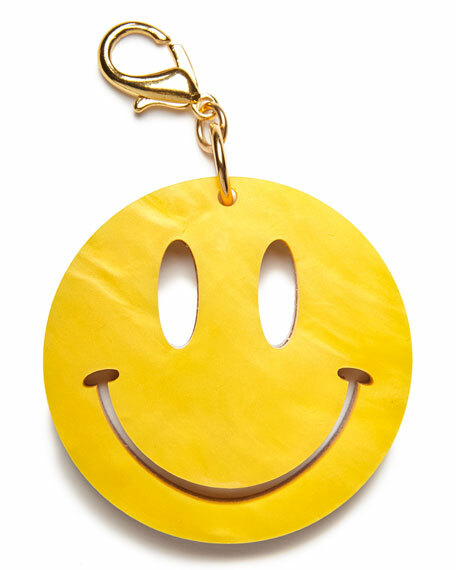 Charm hangs from lamb leather strap. Silvertone key ring with logo charm and miniature comb. Bag, shown, is not included. For in-store inquiries, use sku #1785196. 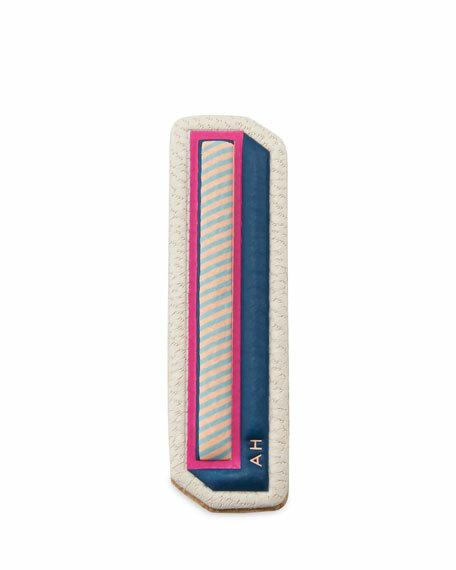 Anya Hindmarch leather letter "I" sticker, from the Alphabet Collection. Pair with your favorite Anya Hindmarch handbag. Permanent, self-adhesive pull-off back. AH logo detail. Approx. 2"H x 2.6"W. Imported. 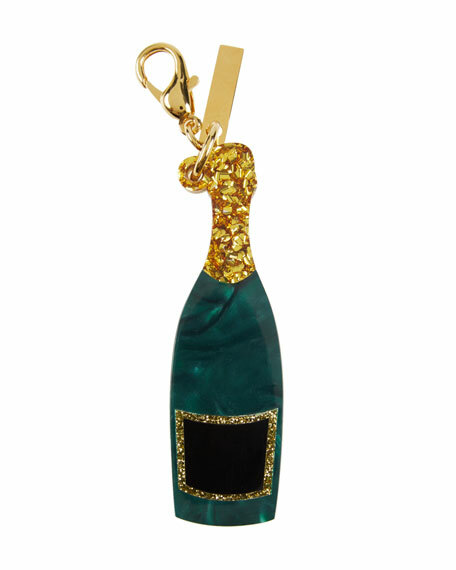 Edie Parker glittered champagne bottle charm for handbag. In signature hand-poured acrylic. Hanging engraved-logo tag. Lobster clasp. Approx. 3"H x 2"W x 0.4"D. Made in USA. 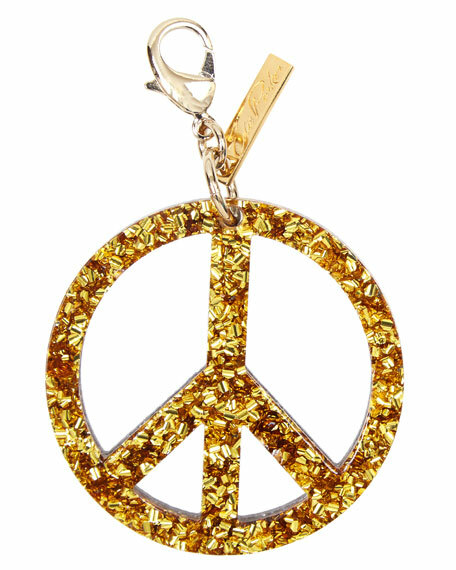 Edie Parker peace sign charm for handbag with speckled features. Lobster clasp top closure; logo-engraved metal charm. 1.2"H x 0.8"W. Made in USA.